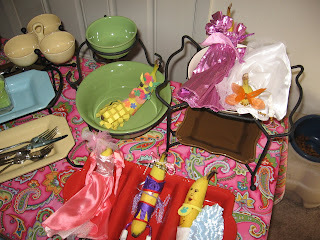 I went to a Banana Party tonight with Cherish. This is my banana - Chiquita. 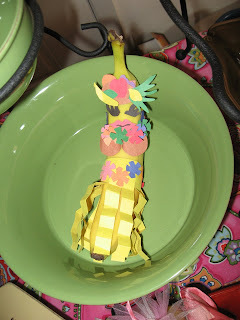 She's got a coconut bra, a grass skirt, a flower lei, a fruit headdress, blue earrings, and she's winking. I had so much fun making her! And I won the contest. Below a photo of Chiquita and a photo of her competition. A banana party?? You crazy Alaskans! yes i want this blog back! i am glad you are back! You crack me up! I miss you so bad! E-mail me some pictures of Kellie ok? I bet she's gotten so big! Do You Ever Get Blog Burnout?